It is never too late to jump into a new devotional. I know sometimes I start one that is labeled for the entire year, but it is nice to get into a smaller devo at times as well. 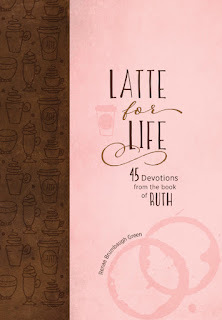 When studying Ruth, this is a perfect go along devotion from Renae Brumbaugh Green. Coffee lover?? You will love how she breaks down each devotional into coffee related terms. I for one love coffee, and love the book of Ruth. This has been an excellent devotion in the morning with my cup or two of coffee. 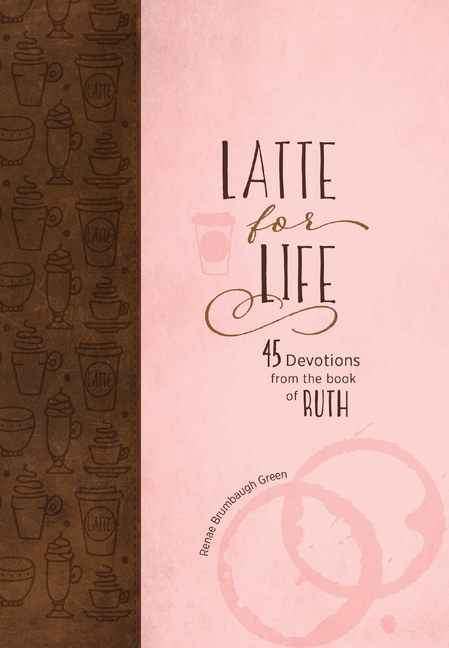 You will get through the entire book of Ruth in this devotional. Each day starts with several verses, included for you. I love how she switches versions of the Bible to quote each day from as well. She uses NLT, TLV, ESV, NIRV, and NASB just to name a few. After God's Word we have First Cup, which is the commentary on what was just read in Ruth. Cream and Sugar offers us a question to reflect on and a prayer for guidance. Second cup is an additional relevant scripture. Again she chooses a variety of translations and I really love that. I can read it just a bit different than I am maybe used to with the NKJV, and it speaks to me in just a little bit of a different way. The word is alive and each devotion is a blessing to read. The Last Drop section is a simple quote from a variety of people. Just that one last drop of refreshment before you start the day. This was a great look at Ruth, and really helped to bring the whole book to life. I loved the depth of the devotion and the thought provoking questions.